Tie Dyeing is done by people of all countries. It is very old way of making designs on cloth. It probably started in China, where some of the finest tie-dyeing is done. The cloth under a tightly tied string won't take dye. The part that is not dyed makes the design. The design you get this way will surprise you! Early dyes were extracted from roots, flowers, leaves, and berries. These include blackberries, lichen, safflower, marigold, onion, red cabbage, sage, and indigo. Although these dyes are still used today, synthetic dyes have been developed that are permanent, quick-setting, safe, easy to use, and are ensured by accurate formulas. As in ancient times, we still use natural fibers for tie-dyeing. 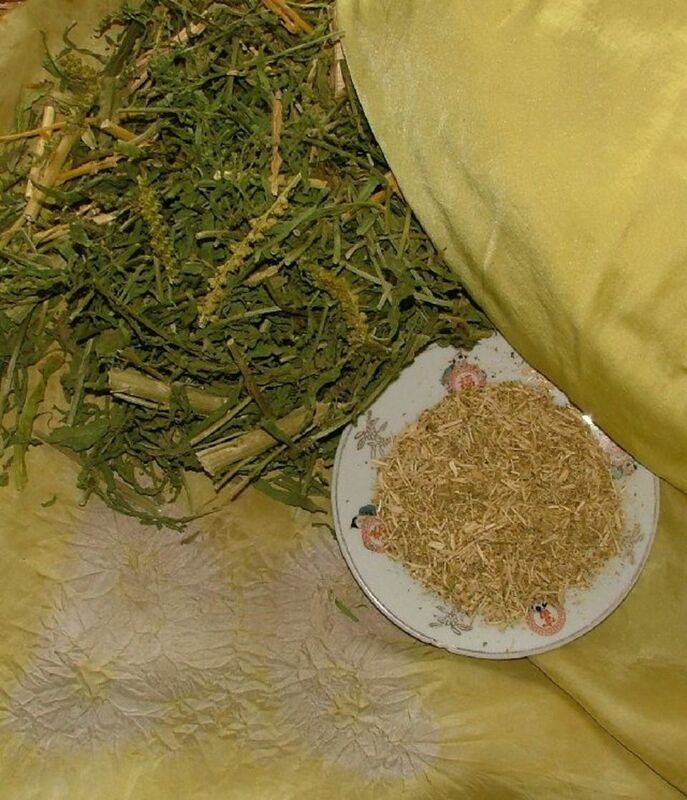 Silks from China, cottons from Egypt, and rayon from Bali are still highly prized. Hemp has always been used as a durable and dyeable natural fabric. Tie-dye became fully developed in China during the T'ang dynasty (618-906 A.D.) and in Japan during the Nara period (552-794 A.D.). The availability of silk and hemp, which are very receptive to the resist technique, made these countries' art outstanding. 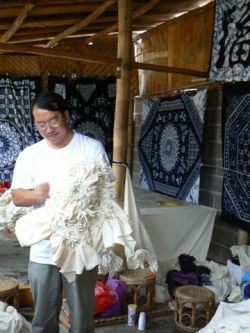 Some early tribes in Western China, Southeast Asia, and Central America tied and dyed the threads before weaving their cloth. When it was woven into material, beautiful designs appeared where the white lines of the tie contrasted with the colored dyes. This method is known as ikat. Spread an old T-shirt out flat. Gather it in the center, gathering front and back in the same handful. Wrap string around the gathered piece several times. Tie the string, with a bow so that you can untie it later. Continue gathering and tying, as many times as you can. Show how to get balanced design - you match each tie on the left side with one of the right side. Mix dye in an old pan, following the directions that come with the package. Use very hot water. Put the whole T-shirt under water, stir with a clean stick until the T-shirt is as dark as you want it. Rinse in cold water and wring out. Until the strings and hang the skirt up to dry. Have the shirt ironed to make the dye more permanent. Whenever you wash the shirt, use cool water. This books will provide you many fun stuff, new learning techniques and great ideas in tie dyeing. Enjoy! This comprehensive, generously illustrated handbook leads readers step by step through the techniques required in creating imaginative and beautiful batiks and tie dyed textiles. Exploring the history and tradition of both methods, it covers every phase of their creation, from selecting proper equipment and supplies and setting up a studio on through to planning and completing the finished works of art. With over 100 photographs and 28 diagrams. The book presents instructions for creating 17 tie-dye patterns on t-shirts, socks, and baby clothes. Information on color mixing is included. Although the designs in this book wre done with the Rainbow Tie-Dye Kit, the book can be used with any other fiber-reactive dyes. However, household dyes commonly found in supermarkets are NOT compatiable with the instructions given in this book. Here at last is a light-hearted, free-spirited, groovy guide to the timeless hippie skills and activities that make the world a better place, one macrame belt at a time. In illustrated, easy-to-follow instructions, author Chelsea Cain -- who grew up on an Iowa hippie commune -- provides practical and playful know-how for the hippie and hippie-at-heart. Learn how to milk a goat, build a compost pile, play "Kumbaya" on the guitar, teach a dog how to catch a Frisbee, and get your file from the FBI. Discover the finer points of caring for a fern, choosing a mantra, organizing a protest, naming your hippie baby, and making sand candles as holiday gifts. 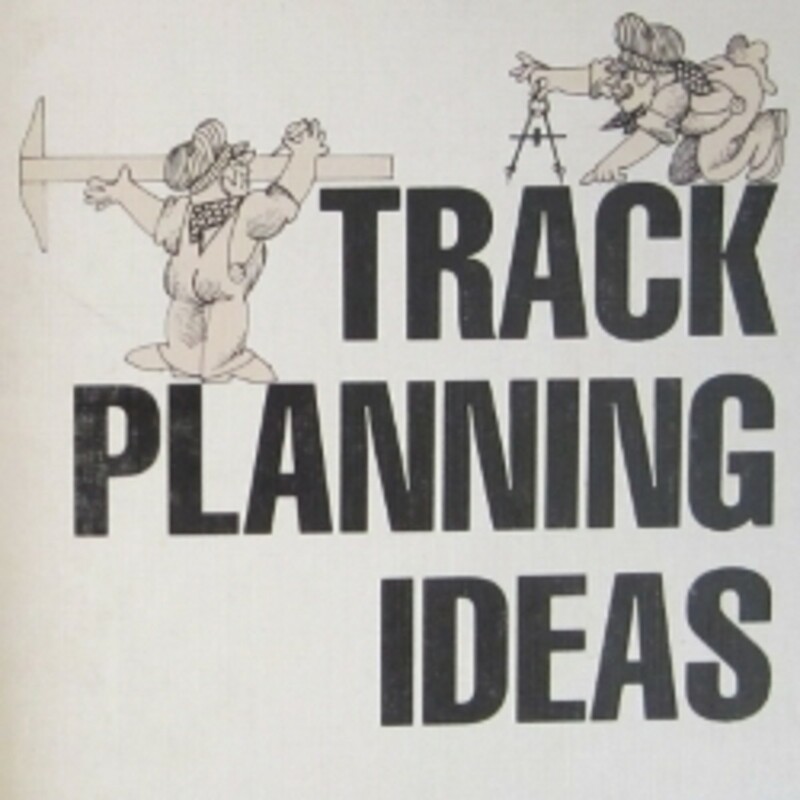 Including primers on cooking, dressing, driving, telling time, dancing, and celebrating your birthday in classic hippie style, and a righteous appendix of essential hippie books, movies, and slang, The Hippie Handbook knows the score. Right on. 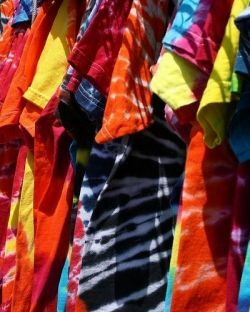 Tie-dye dates back to ancient times. Along with beads, shells, and other ornamentation, our ancestors tie-dyed. Think to the story of Joseph, son of Jacob, in the Bible's Old Testament. He had a beautiful coat of many colors; the envy of his brothers. Could it have been tie-dyed? Make Your Own Tie Dye T-shirt Guestbook! - Did you learn something new today? 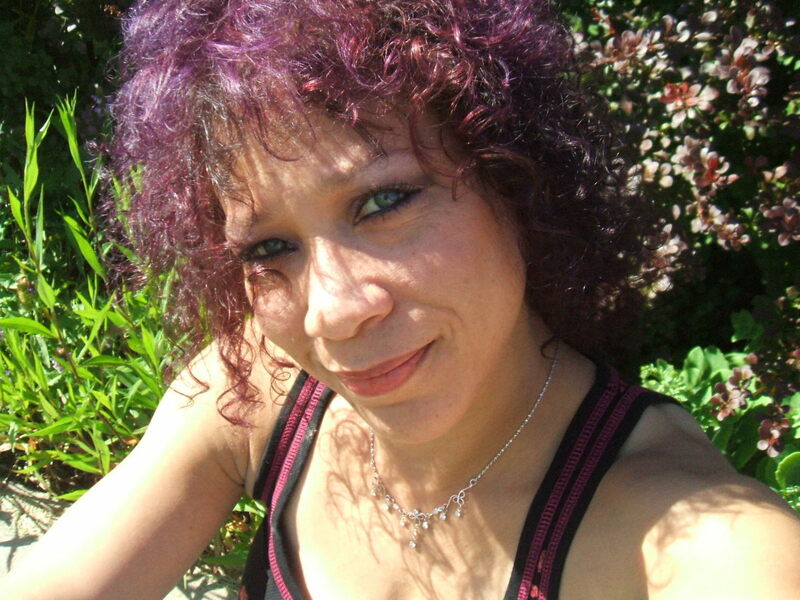 Thanks for the tips.I have been debating if I slhoud dye my hair black, or brown for some time now. I have a natural blonde color, and was looking for a change. After reading this I think I think I will go with a lighter brown color at first, maybe chestnut, then next time, if I like the new look, I will try something darker. 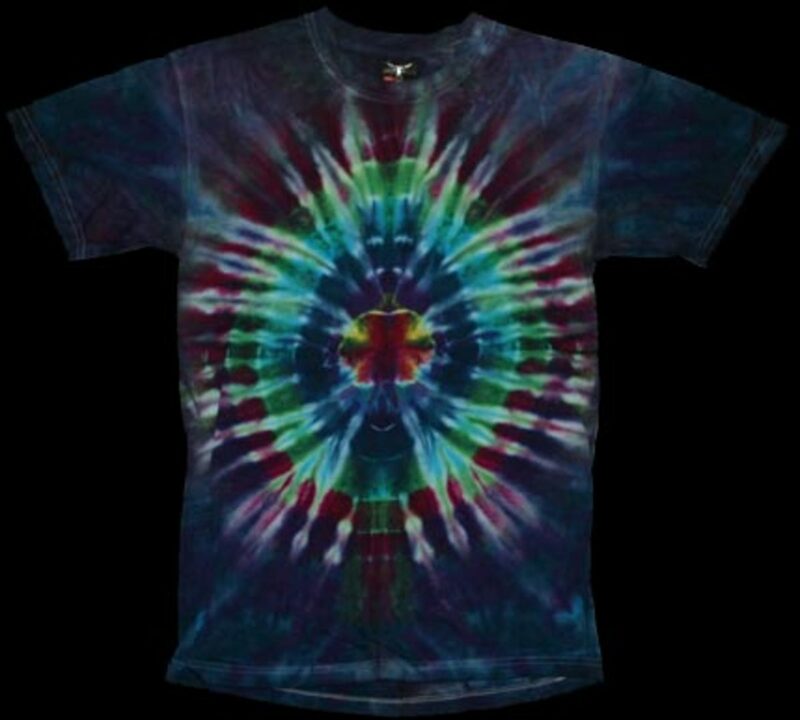 i want to do a tie dye residency and learn the tricks of the trade. Can you point me in the right direction? Very interesting - I never knew the history of this wonderful craft. Pinned to my "Crafts I love" board. I made a bunch of tie dye t-shirts in the 80's or 90's, but I don't have any of them anymore. I'd love to make some again. Everybody can do tie dyeing! It's easy, fun and you'll surely have good experiences. My inner hippie LOVES tie dye. Great lens. Time to teach my grandkids how to tie dye! I love doing projects with them where they get something lasting out of it. 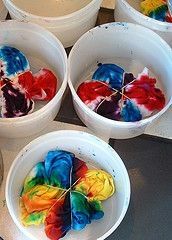 Next summer I'm going to make some tie dye shirts with my kids... lots of fun and brought back some memories. I am so glad that I received your lensmaster link from today's "meet your fellow Giant Squids"; I have enjoyed the time I have spent looking through some of your lenses. I will have to come back again, but I had to comment on this lens as I would like to have a link to it on my Crafts of the 60's lens. 5 tie dyes and a big lens roll. Tie dying is so much fun, especially when you have little ones. Nice! I used to wear T-shirts like this a bunch of years ago! Thanks for bringing back memories!